Steiner Optics is probably one of the best companies that started in the post war in 1947. The man behind it, Karl Steiner, started as a one-man shop in Bayreuth, Germany but his determination and dedication led to the now well-known brand. Where Are Steiner Binoculars Manufactured? Behind every Steiner binoculars manufactured is a worldwide optical icon that has a history of innovation, passion and commitment to create a functional product that is sturdy and technically sound. 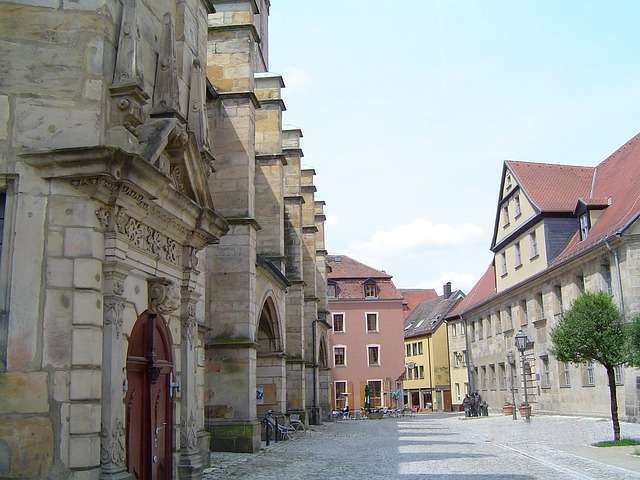 Steiner is now one of the largest manufacturer of high-quality optics and they have arguably the most advanced optical research, development and production site in Bayreuth, Germany where all of their optics is manufactured. If you’re asking if they are made in China, they are totally not! Production, processing, inspection, testing and quality assurance are all done in Germany. How Good Are Steiner Binoculars? Every product from Steiner is built with ridiculous account for detail – lenses alone go through 460 thorough steps! And then it goes through another cycle of inspection, testing and approval processes – so once final inspection is done, you know that you have the most reliable, accurate and high-quality binocular in your hand. Steiner’s commitment to the very highest quality standards and customer satisfaction gives you confidence as well to buy their products as they provide a product lifetime warranty. Where To Buy Steiner Binoculars? Because of its global popularity, you’ll find that there are various suppliers all around the world for Steiner products. However, there are always some great deals in Amazon and some other dealers online so what we could advise you is to try the model that you like in a shop first and then buy it online. In this case, you’ll get the actual “feel“ of the binocular in your hand and in your eyes and you’ll be able to test it before actually buying the binocular. 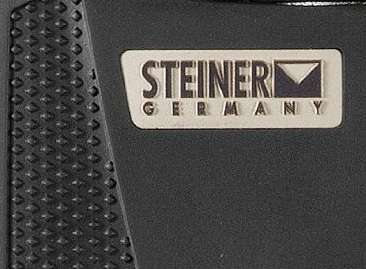 We mentioned earlier that Steiner has manufactured binoculars for various applications. Well, in the following sections we shall have a look at which binocular you can use for a specific activity. What Is The Best Steiner Binocular For Birding? For birding or bird watching you would need a binocular that produces very high-definition images and with a wide field of view. Size-wise, it need to be compact as much as possible and works well even with low-light conditions. The best Steiner model that has these features is the Wildlife XP. The lenses for these binoculars are specially-coated for outdoor use and the body is designed to withstand harsh environments as well. Now there are various configurations that come with this model. However, the most popular one is the Wildlife XP 8×44. What Are The Features of the Wildlife XP 8×44? The optical system of the 8×44 model produces an exceptionally wide field of view and true color fidelity for spectacular views of birds and other wildlife. If you want some cheaper options, the two other models that you can check out are the Wildlife XP Compact 10×26 and the Wildlife XP Compact 8×24. These models are really compact as they only have small objective lenses. They also weigh really light (only three quarter of a pound!). They do however suffer in the field-of-view aspect as they only have a 308 and 374 FOV respectively. What Is The Best Steiner Binocular For Hunting? The Predator series is arguably the most popular among the three listed above. It is designed for demanding hunters who likes something that gives quality images and views that comes with ease of use and weigh comfortably light. We have a separate article regarding Steiner Predator binoculars, click here to read it. The HX series is a new innovation range of binoculars released by Steiner. Available configurations are 8×42, 10×42, 10×56 and 15×56. 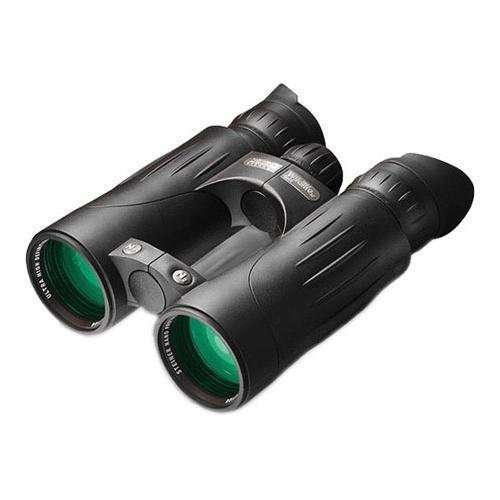 These are compact binoculars fitted with great quality high-definition optics. Compare to the Predators, the HX’s have a smaller field-of-view capability. The HX 8×42 has already the widest FOV in this series with 377 feet per 1000 yards. With the great features and its compactness, the HX series is getting more and more popular in the market. 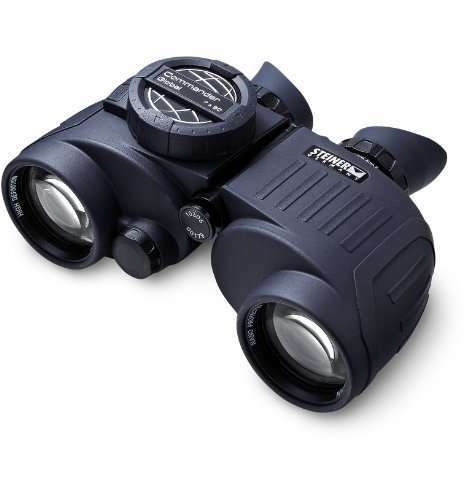 In occasions that involve hunting during night time, the best Steiner model is the Nighthunter LRF 8×30 Binocular. It is designed for low light conditions, long-range instant laser-accurate ranging capability up to 1860 yards so you can continuously evaluate moving targets. Unlike the Predator and the HX series, the Nighthunter is a Porro prism binocular which produces a 3-D depth perception for accurate location of target. It also has a military spec ruggedness so it can withstand up to 11G’s of impact. Sports auto-focus system is also included as one of the features. What Steiner Binoculars Are Suitable For Safari? When you’re going to have a safari trip, you would need a great pair of binoculars to take with you. Steiner has some excellent models to choose from to bring you that unforgettable safari adventure so you won’t lose any of the action and lets you enjoy the safari holiday experience. Safari Ultrasharp CF 8×30. Rated 5 stars. Safari Ultrasharp CF 10×30. Rated 5 stars. Safari Ultrasharp 8×22. Rated 4.9 out of 5 stars. Safari Ultrasharp 10×26. Rated 4.7 stars. The next model that is quite popular for safari use is the Wildlife XP. Available models are 10×44, 8×44, Compact 10.5×28, Compact 10×26 and the Compact 8×24. The Wildlife XP 10×44 is the preferred choice for users whilst the Compact 8×24 is a close second and they are both rated 5 stars. The Wildlife Compact series are really lightweight – they all weigh in at about ¾ of a pound. They are designed to be carried easily and with a tough and compact folding mechanism. The third Steiner series that you can use for safari is the XC series. The XC is a lightweight series that is ergonomically designed to provide comfort when using. It is a versatile binocular that gives you amazing detail at further distances. The XC comes in various configurations: 10×42, 10×32, 8×32 and the 8×42. The XC 10×42 is by far the most popular for this binocular series. The last model that you can use for your safari tips is the Champ 10×26. It is pretty light at only 10.5 ounce (about 0.7 pound!). It has an average rating of 4.4 stars from 8 users so a bit on the not so high side. What Steiner Binoculars Come With Compass? For a different field of application, Steiner marine binoculars are suitably designed to withstand the challenging weather that you can find when roaming the sea. The Commander Global features a worldwide digital compass that shows precise, easy-to-read bearings that is superimposed on the edge of the viewing image. It also has a reticle so you can calculate distance to an object. The other Commander models are integrated with a fluid-damped, HD Stabilized illuminated compass with ranging reticle which the Navigator Pro series don’t have. All of the above models has the Sports-Auto-Focus feature and require battery for the compass to operate. All of them come with the Steiner Heritage Warranty. For your high-end requirement, the Global is the way to go however, for recreational boaters and hobbyists, you can either go for the Commander or the Navigator Pro series. The main differences between the Commander and the Navigator are the waterproofing capability (33ft vs 16 ft) and neck strap (floating strap vs neoprene). What Are The Steiner Binoculars With Rangefinder? In some instances, notably in tactical activities, you would require a rangefinder with your pair of binoculars. The measuring range of the M830 and the Nighhunter models is from 27 to 1860 yards. The 398 model has a LED readout that is accurate to 5% at 1600 yards and within a yard at a distance of 380 yards. These are all highly-rated binoculars and suit their purpose really well. From its humble, post-war beginnings, Steiner has made it into the league of the largest manufacturers of high-quality optics. Generations of devotion resulted in the highest level of technology, for a lifetime of dependable performance. All through the years, Steiner has produced high-quality binoculars in various fields of applications such as hunting, bird watching, marine, military and other outdoor activities. We have provided you with the most popular models in some of these applications. With the remarkable quality, original and unique features incorporated into their binoculars, outstanding performance in the field, competitive pricing and highly-positive user comments, Steiner is indeed a reliable and trusted brand. 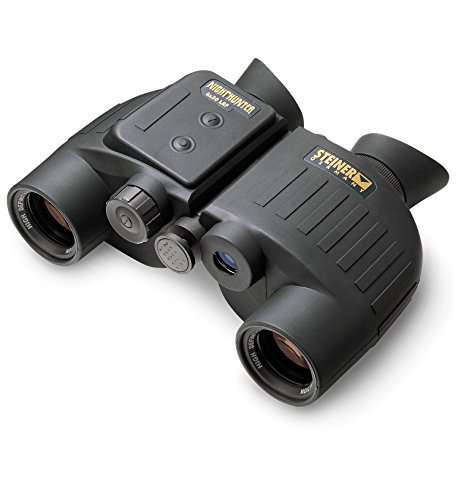 Steiner Predator Binoculars – A Great Hunting Companion!